Skin is the body’s largest organ, and is responsible for the transduction of a vast amount of information. This conformable, stretchable, self-healable and biodegradable material simultaneously collects signals from external stimuli that translate into information such as pressure, pain, and temperature. The development of electronic materials, inspired by the complexity of this organ is a tremendous, unrealized materials challenge. However, the advent of organic-based electronic materials may offer a potential solution to this longstanding problem. In this talk, I will describe the design of organic electronic materials to mimic skin functions. These new materials and new devices enabled arrange of new applications in medical devices, robotics and wearable electronics. Future electronics will take more important roles in people’s life. They need to allow more intimate contact with human beings to enable advanced health monitoring, disease detection, medical therapies, and human-machine interfacing. However, current electronics are rigid, non-degradable and cannot self-repair, while the human body is soft, dynamic, stretchable, biodegradable and self-healing. Therefore, it is critical to develop a new class of electronic materials that incorporate skin-like properties, including stretchability for conformable integration, minimal discomfort and suppressed invasive reactions; self-healing for long-term durability under harsh mechanical conditions; and biodegradability for reducing environmental impact and obviating the need for secondary device removal for medical implants. These demands have fueled the development of a new generation of electronic materials, primarily comprised of polymers and polymer composites with both high electrical performance and skin-like properties, and consequently led to a new paradigm of electronics, termed “skin-inspired electronics”. In this talk, I will discuss our general material design concepts to realize skin-like properties without compromising electronic properties. Such fundamental understandings will allow us to further develop skin-inspired materials to meet future requirements for various new applications. Zhenan Bao joined Stanford University in 2004. She is currently a K.K. Lee Professor in Chemical Engineering, and with courtesy appointments in Chemistry and Material Science and Engineering. She is the Department Chair of Chemical Engineering from 2018. 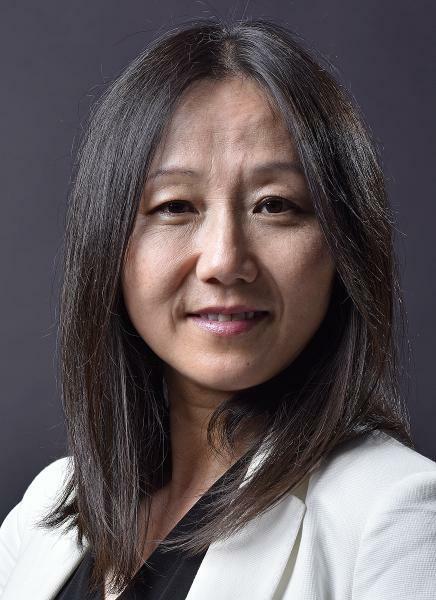 Bao received her Ph.D. degree in Chemistry from The University of Chicago in 1995 and joined the Materials Research Department of Bell Labs, Lucent Technologies. She became a Distinguished Member of Technical Staff in 2001. Professor Bao currently has more than 400 refereed publications and more than 60 US patents. She served as a member of Executive Board of Directors for the Materials Research Society and Executive Committee Member for the Polymer Materials Science and Engineering division of the American Chemical Society. She was an Associate Editor for the Royal Society of Chemistry journal Chemical Science, Polymer Reviews and Synthetic Metals. She serves on the international advisory board for Advanced Materials, Advanced Energy Materials, ACS Nano, Accounts of Chemical Reviews, Advanced Functional Materials, Chemistry of Materials, Chemical Communications, Journal of American Chemical Society, Nature Asian Materials, Materials Horizon and Materials Today. She is one of the Founders and currently sits on the Board of Directors of C3 Nano Co. and PyrAmes, both are silicon valley venture funded companies. She was a recipient of the Wilhelm Exner Medal from the Austrian Federal Minister of Science in 2018, the L'Oreal UNESCO Women in Science Award North America Laureate in 2017. She was awarded the ACS Applied Polymer Science Award in 2017, ACS Creative Polymer Chemistry Award in 2013 ACS Cope Scholar Award in 2011, and was selected by Phoenix TV, China as 2010 Most influential Chinese in the World-Science and Technology Category. She is a recipient of the Royal Society of Chemistry Beilby Medal and Prize in 2009, IUPAC Creativity in Applied Polymer Science Prize in 2008, American Chemical Society Team Innovation Award 2001, R&D 100 Award, and R&D Magazine Editors Choice Best of the Best new technology for 2001. She has been selected in 2002 by the American Chemical Society Women Chemists Committee as one of the twelve Outstanding Young Woman Scientist who is expected to make a substantial impact in chemistry during this century. She is also selected by MIT Technology Review magazine in 2003 as one of the top 100 young innovators for this century. She has been selected as one of the recipients of Stanford Terman Fellow and has been appointed as the Robert Noyce Faculty Scholar, Finmeccanica Faculty Scholar and David Filo and Jerry Yang Faculty Scholar.